Luis Fonsi has had a tremendous breakout 2017. A major player in Latin America for years now, he made the jump to the American mainstream with the crossover mega-hit “Despacito”, and it’s popular remix that featured Justin Bieber. That song not only reached number one all over the world, but it also garnered Fonsi three Grammy nominations. “Échame la Culpa” (Spanish for “Put the Blame on Me”) is Fonsi’s follow up record, and features American pop star Demi Lovato. Released on November 17, the song has already reached the Top 5 throughout Latin America and Europe. 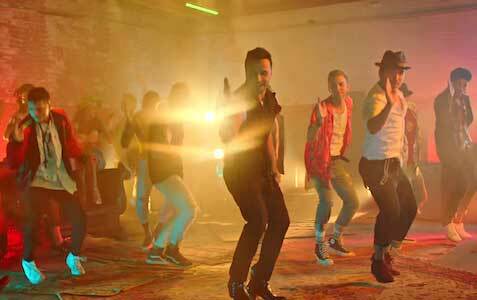 Luis Fonsi leads the amazing choreography of these dancers. According to Fonsi, the song is a play on words. He told Viva Latino that “the lyrics are very joyful. It’s that play on words, that famous cliché of ‘It’s not you, it’s me’ that many of us have used.” The music fits this ideal in that it’s very much joyful and bouncy. The rhythm really grooves and makes you want to shake your hips with the beat. Fonsi’s vocals are so incredibly smooth, and his tone is just perfect for his style of music. He sounds romantic and soulful without sacrificing the upbeat feeling of the record. Lovato follows suit, and her vocals pair really well with Fonsi. These two really do make a great pairing, and their chemistry takes this track to another level. A few of the dancers wear chucks in the video. The music video takes place at first in Demi Lovato’s bedroom. Her and Fonsi meet up, then go out to an empty warehouse where they hold a giant dance party. There is a lot of Latino and Caribbean inspired dancing that takes place in these scenes, and it is all spectacular. A few of these dancers are seen wearing chucks, with the most prominent ones wearing classic black and white pairs. 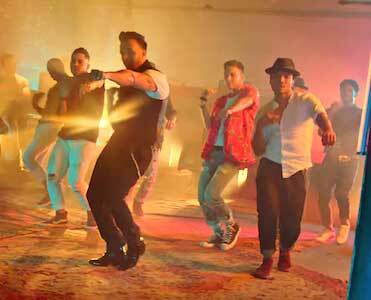 They can be seen in full, dancing with Fonsi through most of the video. Fonsi and Demi’s chemistry is again on display here, and it heats up the screen adding another layer to this sizzling video.